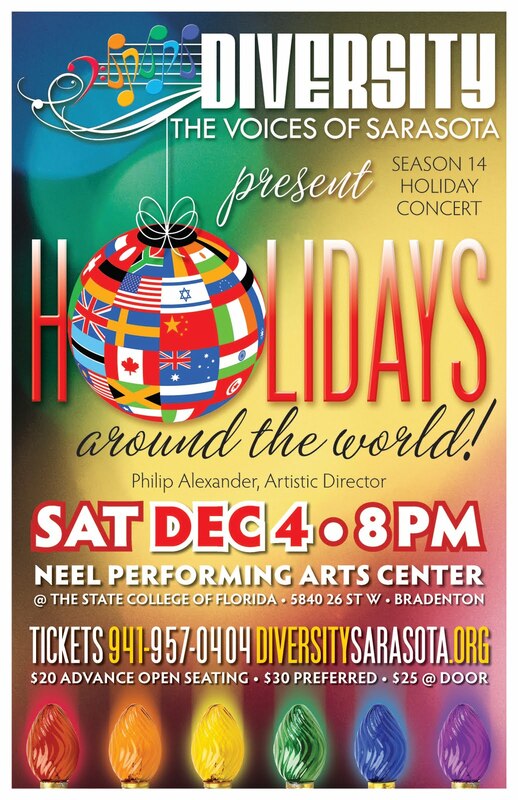 This Saturday Diversity: The Voices of Sarasota will be hosting their 14th Season's "Holidays Around the World" Concert at the beautiful Neel Performing Arts Center on the campus of The State College of Florida in Bradenton. They've asked us to make sure you're invited and we're happy to oblige! Diversity has been a long time partner and supporter of Equality Florida's and is widely recognized as one of the best gay chorus's in Florida. Please take the time to join our friends and your fellow Equality Florida members on Sat. 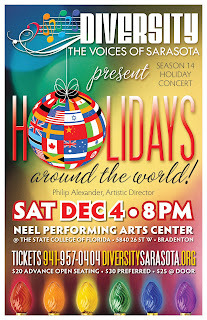 Dec. 10th @ 8:00pm for a great show put on by a great organization.